Your carpet is often the first thing guests notice when they enter your home. If clean, it creates a beautiful first impression and greets your guests in the manner they deserve. If dirty, though, your carpet can be a bit off putting. What better time to clean it, and add to the complete appearance of your home, than now? At Impressive Carpet Cleaning, we help your home to become easy on the eyes, and hygienic to boot. With our high-powered cleaning methods, we make your floor look as good as new. You’ll also improve your family’s health as you remove ingrained allergens and dust from the carpet’s fibres. With both residential and commercial services, you’ll be able to access our impressive service no matter what your needs. We clean every single floor to immaculate perfection. Choose our team of cleaners in Logan, Browns Plains, Beenleigh, Springwood and Daisy Hill. Our system is truck-mounted and provides a deep clean with hot water. We go deep into the fibres to wash away all residual dirt and grime, clearing stains away for good. Our biodegradable products gently clear away dirt. We don’t use many chemicals, meaning your flooring is safe for children and pets – and great on the environment, too. Your home will thank you, as our cleaning products are non-damaging and will prolong its life. Our cleaners have a long track record of cleaning carpets to pristine condition – and have received glowing feedback from all of our customers. Trained in our streamlined methods, and extremely professional and friendly in our service, we will greet you with a smile. 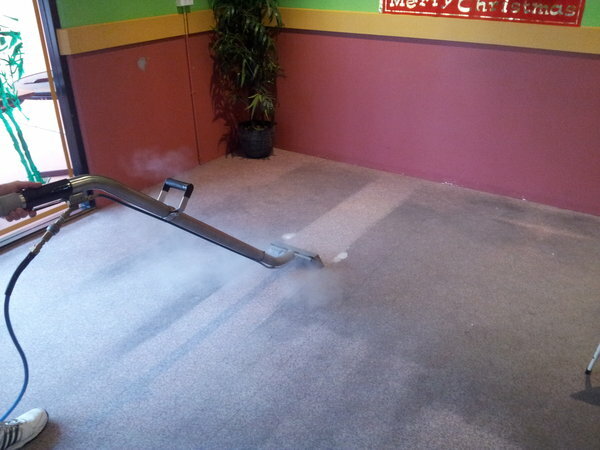 We are prompt and efficient, giving you a cost-effective carpet cleaning that dries fast. We service schools, apartment complexes and real estate rental agents, all of whom are repeat customers. Our premium service is trusted around the Logan area – including in Beenleigh, Springwood, Browns Plains and Daisy Hill. Call us today to book a service at a time that suits you.